Over the past ten years in the Charlotte area, studies have shown that the majority of individuals admitted into rehab facilities for drug or alcohol abuse have been racially white. The second greatest percentage seen was African American, followed by Hispanic or Latino. However, the Caucasian admittees were far ahead numerically as the most often seen. In terms of age admitted within the city, most clients were between twenty-five and twenty-nine, although several thirty-five to thirty-nine year old individuals were seen as well. Sadly, Charlotte has been labeled the city with the most individuals under the age of twenty-five who are hooked on heroin, and this number is rapidly increasing. Emergency Medical Technicians in the area speak to using Narcan to combat this phenomenon when overdoses occur. In a recent interview one EMT noted that Narcan does not always work. When it does work, sometimes the individuals whose lives it saved are still fraught that their high was taken away. Many times when an overdose occurs that is fatal, it is the result of the user not being aware of what was in the substance. Often, the secret ingredient that has been added is fentanyl. Ease of obtainment continues to be part of the appeal of heroin. With ever developing technology and instant messages making it possible to have what a person desires in their hand in less than thirty minutes makes it all the more difficult for users to fight the temptation to give into using. That internal craving and rewiring of the brain that has occurred from use pushes the drive until they obtain the substance. In the same way that meth dealers have been targeting youth by hanging out on playgrounds and presenting meth and other drugs through paid child dealers, heroin dealers often hang out in area shopping malls and parking lots. While meth maybe crafted into lollipops and cute candy shapes, heroin in the Charlotte area is presented in the Mexican black tar form most the time, and youth find that appealing. Heroin’s direct link to gateway drugs (most often identified as prescription pills like Oxycodone) further demonstrates the ways in which the two categories of substances have taken over the Charlotte area. Many individuals become addicted on the pills and then find heroin an easy transition. If you live in Charlotte and have fallen victim to substance abuse don’t hesitate to seek treatment. There are enormous resources in at your disposal. Prescription medications in Charlotte and North Carolina on the whole continue to control the drug scene in crucial ways and are the cause of the majority of the overdoses in the area. Here again, the young men and women who are overdosing are not the normal suspects. Rather than the person with a long criminal record who started drugs at a young age, the individuals hooked on painkillers are more and more the people who have had successful lives thus far in the eyes of the world and society. As the Charlotte Observer reported in recent times, it is no longer simply about trying to restrict distribution of these substances on the street, but is now also about trying to ensure that doctors offices do not prescribe them completely freely. There has not been extensive enough testing on the drugs and long term effects thereof, and that paired with the belief held by many that addiction is a disease point to the problematic situation of it being prescribed often and without any real restrictions. Indeed, it is believed that the majority of the folks who overdosed received the pills that did them in through legitimate means. From doctors who handed them the prescription not realizing how they would use it and the lasting impact it would have. 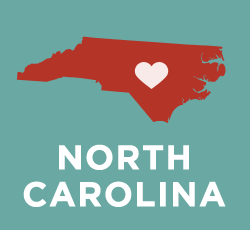 Unfortunately, with the rise of substance abuse and overdose in North Carolina, there has risen a shortage of care facilities. Because of this shortage, some people are simply going to the emergency room when they first determine they need help. They often have to simply stay in the emergency room for several days before another option arises. However, there are positive options out there and hopefully more will soon appear as local leaders strive to help with the epidemic and provide local solutions. Interestingly, under North Carolina law an individual charged with a possession of a drug like marijuana would only spend around thirty days in prison, in contrast with an individual charged with possession of a substance like xanax, who could spend six months to a year incarcerated. NC law ranks drugs under what they call Schedules. Schedule I drugs are substances such as heroin or LSD. Only schedule I drugs carry a felony charge. Schedule II drugs include meth, cocaine, opiates, and surprisingly methadone. Methadone is offered at many paid clinics throughout the state as a means to wean off opioids. Schedule III drugs are steroids and Ketamine. Schedule IV drugs are xanax and valium. Schedule V drugs are codeine and schedule VI are marijuana. Although marijuana possession in North Carolina generally has a somewhat lenient sentence, if a person is in possession of more than one and a half ounces then the sentence can be changed to a felony charge. However, many times when considering making that transition from misdemeanor to felony, a judge will review an individuals history and determine whether this should be treated lightly as a first time offense or whether maximum punishment is necessary. Whatever route an individual decides to follow when seeking help, it is vital that an aftercare plan is in place for the time period when the initial treatment has ended. Even after returning to society or passing benchmarks for sobriety, triggers such as lifestyle changes may still lead to a relapse. Having an aftercare plan in place helps ensure the recovery will truly be long lasting. Aftercare plans in which individuals “check in” and receive remedial work/information are very common. However, for individuals needing more than occasional realignment, options such as sober living communities exist, where people trying to stay clean live and work together and follow a set of house standards and rules. There are many different options, particularly in a city of the size of Charlotte. These options include those that are faith based and those that are non faith based. Regardless of the route, recovery is worth the effort. Not only does it benefit the individual, but it also helps the entire community. Lower rates of addiction mean many benefits for the community at large, including less strain on insurance, hospitals, and emergency rooms. They also mean lower rates of violent crime and better family situations. Local law enforcement are able to save time on drug arrests and focus more on preventing violent crimes and keeping the community safe. Tax dollars are saved by the millions. Furthermore, there would be lower rates of HIV and Hepatitis C and that kind of transferable disease with lower rates of drug use. Prostitution rates might decline as well. For Charlotte to continue to be the thriving, bustling city that it is, and to continue to grow and develop in healthy, holistic ways, it needs to fight to reclaim its youth and young adults. Previous drug education programs have since become outdated and are not as effective as they once were in the 1980’s and 1990’s. While drug researchers across the country work to develop new solutions and law enforcement officials work to find new ways to save lives and prevent crime, the one truth that has surfaced continues to that recovery benefits everyone. The possibilities related to recovery and renewal are endless. The United States of America, and specifically Charlotte, as a society need recovery as much as individuals struggling with addiction need it.